Don’t underestimate the power of 15 months no interest on purchases and balance transfers. The HSBC Gold Mastercard® credit card’s generous introductory no-interest offer could make a substantial difference for your wallet, particularly in an era of rising interest rates (See Rates and Fees). An ongoing APR of 14.24%, 20.24% or 25.24% Variable kicks in, so pay down as much of your balance as possible before you are charged an APR after 15 months. Making this card even more attractive is that it doesn't charge an annual fee, charges no penalty APR for missed payments and waives some late fees, which means you won't get whacked if you miss a payment. Consolidate existing credit card debt or take some extra time paying off a new purchase with an introductory 15-month interest-free period for purchases and balance transfers (variable APR applies after the intro period). Feel free to travel abroad with this card knowing that you won't pay any foreign transaction fees. Rest easy if you miss a payment – this card allows you one missed payment per year without incurring a late fee. This card is offers a lengthy zero interest period (which could be very useful! ), but it doesn't allow you to earn any rewards on your spending. This card's biggest perk is 15 months with no APR. You can pay down your debt and make purchases without worrying about finance charges. The HSBC Gold Mastercard® credit card's 15 months no interest on purchases and balance transfers could literally be financially life-changing. Paying no interest obviously saves you money, but it could also mean you’re able to pay off your debts more quickly, putting you in a stronger financial position overall. Think about that – you can have a whole year-and-a-half without any finance charges. You can transfer a balance from a high-APR card or you can make purchases directly on your new HSBC card and not pay a dime in finance charges for the first 15 months. Every penny you pay toward the balance will go toward reducing your overall debt. The card also offers no foreign transaction fee, which means you can use the card internationally without getting hit with additional fees that could be anywhere from 3-5 percent with other cards. The HSBC Gold Mastercard® credit card waives the late fee when you miss your first payment or if you miss a payment after 12 consecutive months of paying on time. There's a $37 late fee otherwise. The card also won't impose a penalty APR if you miss payments. An important note – Please remember that although these "no-late-fee" perks are nice to have, you still want to make regular payments. If you miss payments, you won't pay down your debt as quickly, and isn't that the whole point of a 0 percent APR offer credit card? Plus, credit bureaus are notified of late payments, so your credit score could still be affected even if you don't have to pay late fees or a penalty APR. The card also provides fraud protection, extended warranties up to an additional year and coverage on most purchases up to $1,000 against accidental damage or theft for 90 days after the purchase. Plus, the card's price protection will refund the difference if you make a purchase and see it later advertised for less within 60 days of your purchase. 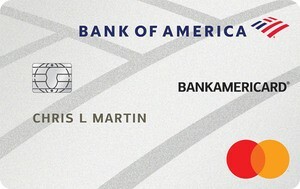 The card offers an intro 15 months with a 0 percent APR, but it does charge a balance transfer fee of 4%. That means you'll benefit from not paying interest after you make the transfer, but you do need to pay that balance transfer fee. A 4 percent fee means that you would pay $200 on a $5,000 balance transfer. That's still a substantial savings if you're currently paying sky-high interest on a balance you won't be able to pay off for months and months to come. The HSBC Gold Mastercard® credit card also doesn't have a rewards program. There are cards that offer both a 0 percent APR intro period as well as the added benefit of a cash-back program. Keep reading for a couple of card comparisons. The Citi Simplicity® Card - No Late Fees Ever (Citi is a CardRatings advertiser) is similar to the HSBC Gold Mastercard® credit card in the introductory 0 percent APR department, though does offer a longer balance transfer period. 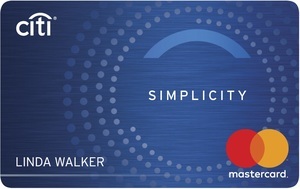 The Citi Simplicity® Card - No Late Fees Ever offers 0 percent intro APR on purchases for 12 months (as compared to 15 months for the HSBC card) from date of account opening and 21 months with a 0 percent APR on balance transfers from date of first transfer, all transfers must be completed in the first 4 months (then, 16.24% - 26.24%* variable, based on creditworthiness). If you transfer a balance with this offer, after your 0 percent intro purchase APR expires, both new purchases and unpaid purchase balances will automatically accrue interest until all balances, including your transferred balances, are paid in full. Much like the HSBC Gold Mastercard® credit card, the Citi Simplicity® Card - No Late Fees Ever charges a balance transfer fee. However, Citi Simplicity® Card - No Late Fees Ever's $5 or 5 percent fee, whichever is more, is potentially a bit more than HSBC Gold Mastercard® credit card's $10 or 4 percent fee. Neither card charges an annual fee, nor do they offer rewards programs. The Citi® Double Cash Card - 18 month BT offer also offers an introductory 0 percent APR period, though it's longer than what the HSBC Gold Mastercard® credit card offers. After the intro for the Citi card, the Citi® Double Cash Card - 18 month BT offer APR is 15.74% - 25.74%* Variable. You don't get 0 percent APR on purchases during that period– just on whatever you transfer to the card– but this offer is good for anyone looking for a little extra time to pay off an outstanding balance. Outside of balance transfers, you will earn 1 percent on every dollar you spend, and then 1 percent per dollar when you pay your bill. And there are no caps, so the more you spend, the more you can earn. What else is there to be aware of? There is a balance transfer fee, though it's less than HSBC's 4 percent. The Citi® Double Cash Card - 18 month BT offer has a balance transfer fee of 3 percent - or $5; whatever is greater. Another plus: just like the HSBC card, there is no annual fee. A negative: unlike the HSBC card, there is a 3% foreign purchase transaction fee, so if you travel abroad often, this may be a problem. The HSBC Gold Mastercard® credit card is made for someone looking to transfer a balance from a high-APR credit card and paying down debt without worrying about finance charges. This card gives you 15 months without an APR, which can help you chop down your debt quickly. The card also doesn't charge a foreign transaction fee, so it's ideal for an international traveler.